We’re really pleased with the MVHR system at the house and are getting good feedback from occupants. The system is definitely silent running, which is especially important given that the MVHR is located in a cupboard in the Master bedroom. The PAUL Focus 200 MVHR unit is the Rolls Royce of MVHR units but we wanted to make sure that it would work well and efficiently and be easy to use and maintain. 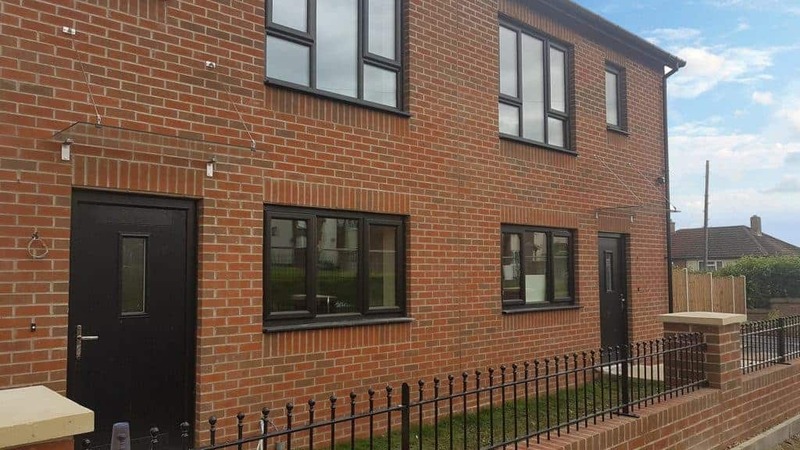 Having a quiet smooth-running MVHR system was essential for us as social housing providers to ensure our clients are happy with the ventilation system and to minimise maintenance call-outs. We have worked with Bill Butcher and Green Building Store over a number of years on a variety of projects, so working with Green Building Store’s MVHR team on the project seemed a natural choice. The design process for the MVHR system was very straightforward. 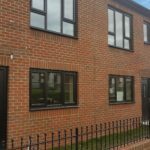 We trusted that Green Building Store would design us a suitable system to meet the Low Energy Building Standard requirement. 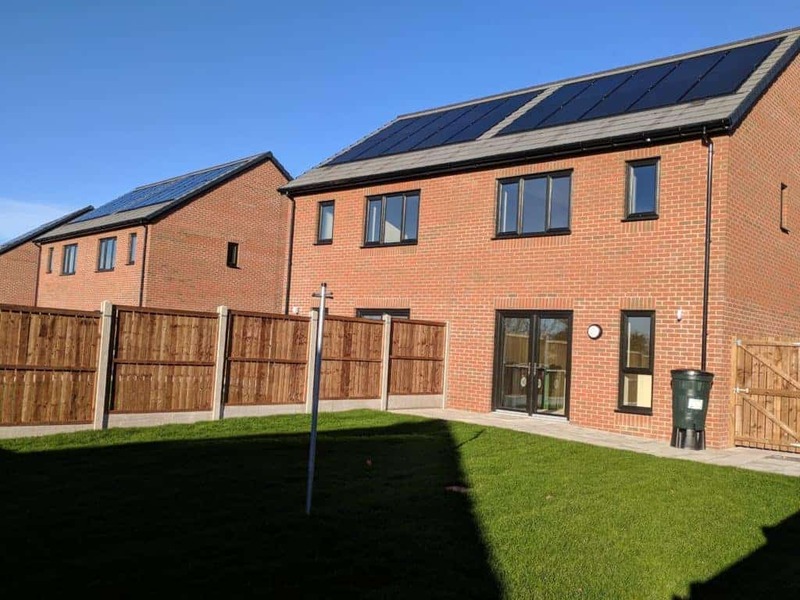 Connect Housing has recently completed a development comprising 10 semi-detached 2 bedroom homes, certified to the Passivhaus Institut’s Low Energy Building Standard (LEBS). 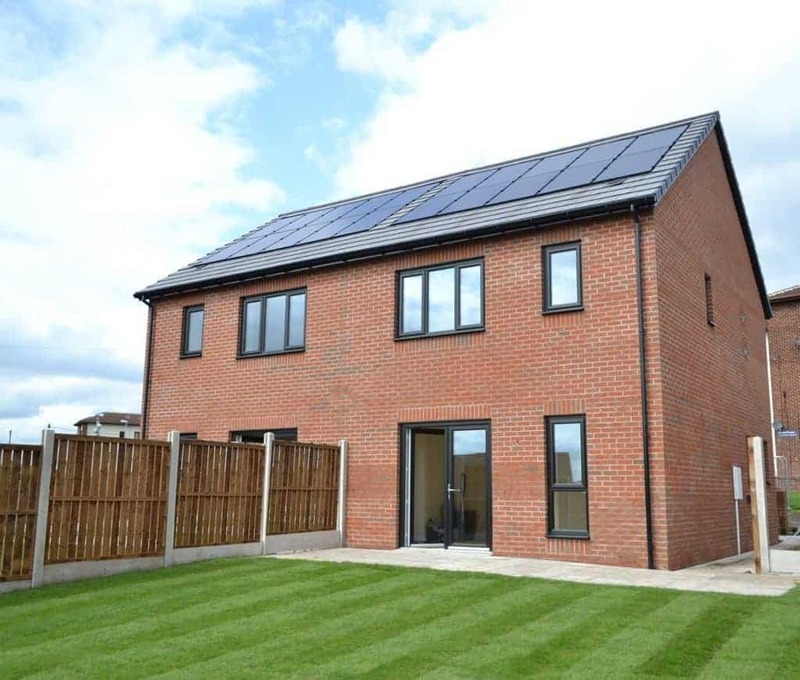 The homes are located on Boggart Hill Road in north Seacroft, close to Roundhay Park, Leeds. 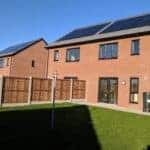 The project was the first Connect Housing had undertaken using Passivhaus design principles and went down the LEBS route for certification as orientation issues meant that the project would not be able to meet the full Passivhaus standard. To achieve the LEBS requirements the project had to achieve an air pressure rating of less than 1m3/h.m2. The homes were built using timber frame off-site construction. Green Building Store designed, supplied and commissioned the MVHR system for the project, with the PAUL Focus 200 MVHR unit and rigid steel spiral wound ducting. 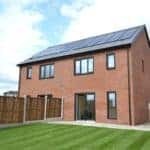 Residents moved into the homes in November 2017 and Connect Housing are undertaking ongoing monitoring energy bills, solar electricity production, humidity and temperatures within each of the homes. Green Building Store designed, supplied and commissioned the MVHR system for the project, incorporating the PAUL Focus 200 MVHR unit and rigid steel spiral wound ducting. An A-rated re-circulating cooker hood provides primary grease filtration while the kitchen extract filter prevents grease from entering the ducting system. There is a boost switch in the Kitchen allowing occupants to boost the system when a higher extract rate is required. Due to space constraints the MVHR units were housed within a cupboard in the Master bedroom, not somewhere Green Building Store usually locates them, so ensuring quiet sound levels from the MVHR system and unit was especially important. The system was expertly installed by YGI, now on Green Building Store’s Approved MVHR installers list. As the homes gain free electricity from solar PV panels on the roof, the owners are assured that MVHR system is effectively free to run. “We have worked with Bill Butcher and Green Building Store over a number of years on a variety of projects, so working with Green Building Store’s MVHR team on the project seemed a natural choice.